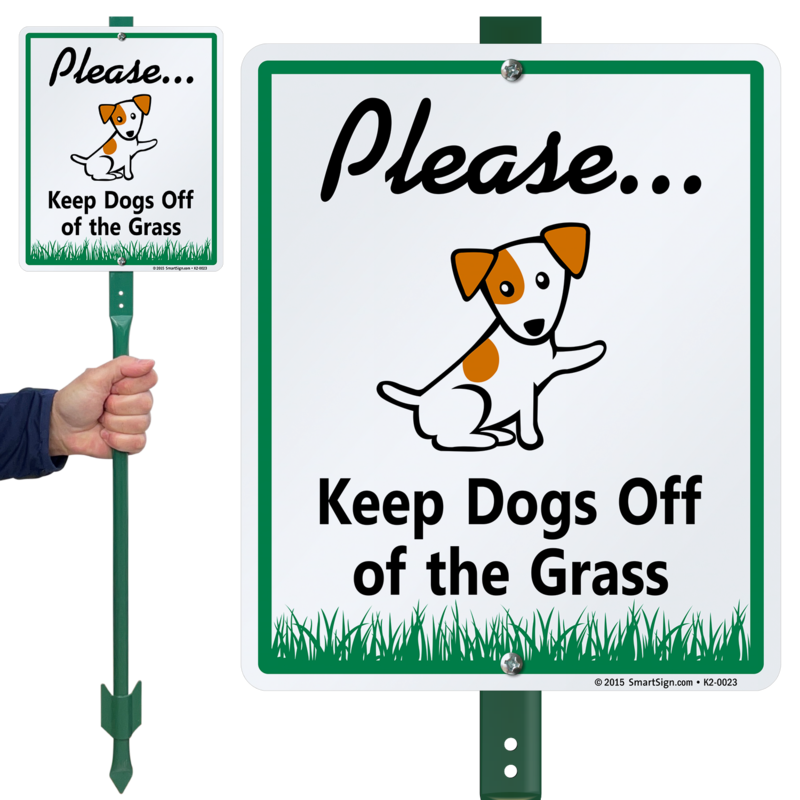 Just keep them off the grass! 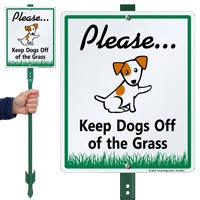 Use this sign to inform walkers not to let their dogs run free on the grass. Love the sign! The message and friendly pooch kindly gets the message across without being rude or offensive. Loved it,the doggie is as cute as it looks.Gentle reminder to the neighbors. Product is well made,much better than the flimsy one I had before that cost just a little less. Great signs would definitely recommend you get yours!! We are extremely pleased with our new signs.